Chef Christian shares his views on the latest food trends, techniques, and seasonal flavors! Update From the Local Farms – What to Expect at the Spring Farmer’s Markets! Expect beautiful carrots, beets, radishes, fennel and spring onions for first root veggies. Lettuce, kale, spinach, arugula, chard and cilantro for your salad bar. Kohlrabi, mushrooms, cabbage and micro greens are gonna be plentiful too. So get out and check out the local North Carolina farms & markets, and fix yourself up some healthy veggies, while rewarding the efforts of our small local farmers to keep “real food” available on the table. How to Win Over Your Sweetheart – Fudge! What could be sweeter than treating your favorite fancy with a handmade confection? What says I truly appreciate your affection more than taking the time to craft a delicious creation? Don’t just whip over to the store and try to buy your sweetheart’s love with packaged nonsense, get in there and show them how you really feel. Make some crafty fudge! Put your own interesting spin on it, try to match that special someone’s unique personality with edible expression! 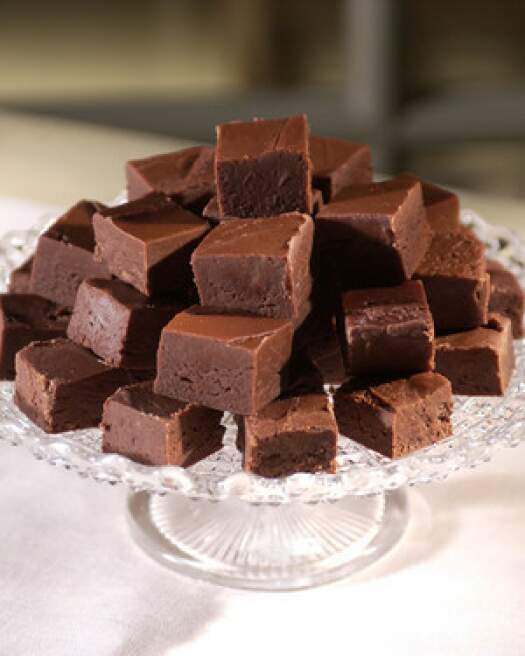 Here is a super simple fudge recipe from recipes-plus.com and a few ideas to spice it up. 1. Grease and line the base and sides of a 7 1/2 inch square cake pan. 2. Combine condensed milk, butter, sugar and honey in a medium heavy-bottomed saucepan. Stir over medium-low heat for 5-7 mins, or until sugar dissolves. Increase heat to medium and cook for 10 mins, or until mixture thickens and leaves side of pan. Remove from heat. 3. Add chocolate and stir until melted and mixture is smooth. Transfer to prepared pan and smooth surface. Set aside to cool. Cover with plastic wrap and chill for 1 hour, or until firm. Cut into squares to serve. To add your own touches, if object of your enamoration is a little nutty, well walnuts and pecans might do. Got yourself a hotty? Add just a pinch or two of Cayenne pepper. Is your squeeze a smooth operator? Allow to cool a little and fold in some whipped topping before spreading into the pan for a lighter, smoother fudgy finish. Or make up your own spin, the possibilities are endless! Now that we are in the depths of winter depression, one may wonder how long it will be before fresh vegetables start popping back out of the ground again. Nearly forgotten are Spring Strawberries. Long gone are the summer squashes. The fall gourds are even going moldy in the cellar by now. What, if anything does this bitter cold winter yield? Well, actually, quite a lot! Introducing the family of flora that actually love the cool and even cold winter months, the Brassicaceae, also known as Cruciferae, or as we Culinarians refer to them, Cruciferous Vegetables. Cabbage, broccoli, kohlrabi, cauliflower are some of the more famous. Brussels sprouts, bok choy and cress are a few more. 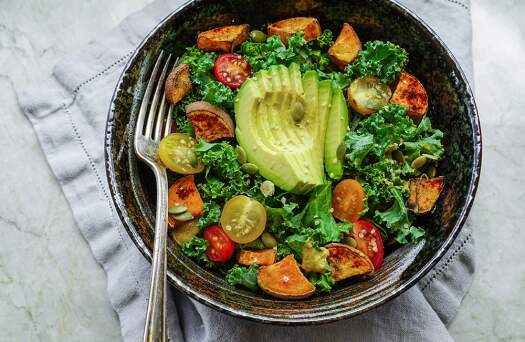 These veggies are high in vitamin C (which we definitely want to bulk up on this time of year, and soluble fiber and contain many other beneficial nutrients. Some may frown upon this group as boring, blah, even (gasp) gassy. So, the gassy may be true, however, lets look past that. When prepared well, all of these vegetables can be delicious, even a bit sweet, and ever so savory. Sauté any simply with a good oil, some onions and a smattering of salt & pepper and you have a tasty dish. Add some bacon and you’ve gone to heaven. Rest assured folks, even here in the depths of winter and bitter cold, the earth is still yielding forth fruit worthy of your attention!